Baton Rouge Real Estate Appraisers: Why do some houses sit on the market while others sell? 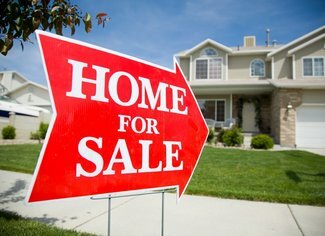 http://www.batonrougerealestateappraisal.com/ – Baton Rouge Real Estate Appraisers: Why do some houses sit on the market while others sell? Here’s an interesting video by Jay Papasan, an executive of Keller Williams Realty. We see “Jay” on the month “This Month In Real Estate US: November 2010” videos on YouTube. In this video, Mr. Papasan explains why some houses just sit there on the market while others sell, which is an appropriate topic for locals now that the expiration of the Federal tax credit means a lot homes locally are just sitting. I thought his explanations were helpful explanations. The visual displays of these concepts of his x/y axis were helpful as well. I’m curious to hear the experience of both home owners and real estate agents as to what if Mr. Papasan is explaining is reality locally? Any ideas on what it would take for homes to sell faster? Are locals just waiting for a bottom before buying or is there something more going on in their psyche – more of a concern about what’s taking in Washington, DC than a concern for the Baton Rouge economy maybe? You can follow Jay Papasan on Twitter at @jaypapasan, and on Facebook @ http://www.facebook.com/jaypapasan . Mr. Papasan is also coauthor of The Millionaire Real Estate Agent, The Millionaire Real Estate Investor & SHIFT. www.gbrprelistingappraisals.com - Greater Baton Rouge Pre-Listing Home Appraisals Explained for Real Estate Agents, For Sale By Owner, FSBO, FSBOBR.com and FSBO.com.